Jorge Olguin: This is professor Jorge Olguin. I’m gathered my colaborator, who will read the first questions. Then I will intention to channel. In the book "Heaven Responds" the first words are: In the beginning there was the Whole and the Nothingness. Then, there was a manifestation of Eon and this manifestation created the current universe. In other revelations it was unveiled that there were previous universes. This is obviously one of the several paradigms that have been unveiled. The main thing is that the ratio is always 10% and 90%, the spirit embodies in a 10% and the remaining 90% remains in the respective plane. The manifestation of Eon, who is the current universe and the previous universes, is a 10% of the total Eon, the other 90% is not manifested. The questions asked by mi interlocutor will be answered or not by the 90% of Eon, who is not manifested, to whom I will try to channel for the very first time, after some ten years after I channeled for the first time the 10% of Eon. We’ll start with the questions and/or inquiries. Interlocutor: I'll read the questions for the record. The idea is to hold a session with (Eon 90%), something we had never done before. I Keep in mind that in the Eternal Present this session was already done. This is a session to try to clarify a few questions, starting with the question of whether the 10%, with whom we have communicated many times, is as perfect as the 90% and if it has an independent Free Will. I ask this because the 90 % spirit not always agrees with the 10%, and the 10% provokes that the 90% descends of plane. Jorge Olguin: Well. Before I attempt to channel the 90% of Eon not manifested, I repeat the last thing I, as Jorge Olguin, often wonder and I say it with humility, without being vain -that I am useful because I've woken up hundreds of consciences regardless, I have literally saved lives, in different sessions of psychoauditing I have avoided suicides, etc… Let’s say that there are issues that have been reversed luckily or by the grace of God. In turn, I wondered, feeling sorrow, but never at the Father, why there are health problems and, obviously that is part of the Eternal Present. And if I were to ask Eon and if there were a second Jorge as a telepathic channeler, I would ask Eon why recently I had many ups and downs or health issues like headaches and high blood pressure. Perhaps a product of my stroke, which already happened two years ago or the Ménière disease, which already has been bothering me fourteen to fifteen years, which caused me vertigo and I even fell and hurt myself. Well, obviously, it also has to do with the economic issue because the economic resources help to do works, to sow. If we do not have money to buy seeds we can’t sow, and even less will we be able to harvest. There are so many questions, many questions. If I wanted an easy speech I would say: - "Well. This is what I got. It is what we have." But it contradicts the Masters of Light who say: - "The spirits choose where to embody, how to embody, in which family they will embody, in which region." So I wonder if Johnakan, My Higher-Self who is in the plane 5 sublevel 9 - "knew" what the mission was prior to embody, why did not he do it easy for me? Or why not Radael did it easier for me? Those are the questions. The 10% of Eon has often responded to these questions: - "And why not?" I will attempt to channel the 90% of Eon not manifested, who is wound up in himself out of this Creation or within a singularity, as it was said before. I will attempt to channel the Singularity for the very first time in this physical life. I’ll begin. Interlocutor: Are you incorporated, Eon? Interlocutor: So that it’s easier for them to understand. Of course. Interlocutor: From the beginning, all that exists in the Eternal Present of Eon, also exists in the Eternal Present of ABBA, Am I right? Interlocutor: All right. This is a session to try to clarify a few questions, starting with the question of whether the 10% that we have communicated many times with, is as perfect as the 90% of Eon and if it has an independent Free will. Interlocutor: No difference between the 90% and your 10%? Eon (90%): ... No difference whatsoever. Eon (90%): The only difference is that my 10% manifested is the Creation and the 90% remains unmanifested in a Singularity. One question, perhaps not asked by you is: why this percentage? Eon (90%): It’s a percentage that represents equilibrium. Let's say -so that even the most basic decoder understands- a planet is almost spherical precisely because it rotates on its axis and it moves around its star. It could not be cubic, in addition due to a gravitational effect. Everything has an explanation. 10% and 90% are part of the equilibrium. Interlocutor: I believe that the question has been answered let’s move on to the next one. Interlocutor: Another point is: if the part and whole are the same, then it must be assumed that there is Eon on one side and each one of us on the other side. This would lead to the conclusion that nobody has to be accountable for his actions in front of Eon, because each one of us is also Eon. We should have to be accountable to ourselves. Is that so? Eon (90%): Yes, but from another point of view. You'd have to be accountable to yourselves because there is Free Will, from your point of view, not mine, then, you are responsible for your actions. For that reason, not from the point of view you want to imply. You are part of the whole creation, but you are not Eon. Your finger is part of you, my son, but you are not your finger. Your finger does not think. If you prick your finger, for nerve transmission, your decoder will make you feel the pain, but it is still your finger. Each one of you, my sons, is a part of me, but not me directly. Interlocutor: Yes, I understand, but look: I'm walking down the street and a balcony falls on my head. My free will has nothing to do with it. Or by my free will I chose to pass under the balcony that was going to collapse? Eon (90%): You have chosen to walk that path and not the opposite side or the other path. Interlocutor: So, the answer would be that I am always responsible and we all are responsible for everything that happens to us, even if it’s not our fault of if it was caused by chance? Interlocutor: Is that so? Is that the answer? Interlocutor: Isn’t that event foreseen in this Eternal Present so that the balcony falls on my head? I want to know the answer from the Eternal Present’s point of view. Interlocutor: A movie already filmed? Eon (90%): ... a film already shot with an infinite reel extension. Interlocutor: Sure, that's the point. Eon (90%): Then, if there is an infinite reel extension, I, as part of the Eternal Present, or as all the Eternal Present, if you like, 'I can see' or perceive each frame of the film of that movie, part by part, point by point in history, second by second. So for me, every fact in the history of this world and the billions and billions of worlds, I can perceive them in the moment I want because even not being manifested, I have a hundred percent connection with my manifested part. It's different from you all, whose embodied parts rarely have contact with the non-incarnated parts. And indeed you all have independence, in some way. In my case, as an Entity, my manifested part and I, as non-manifested part, we both are exactly the same. Interlocutor: Okay, but the point is this: Why in the Eternal Present there is a balcony that falls on my head? The question is being an Eternal Present there is no Creation. So, it’s strange that in this Eternal Present there is a balcony falling on my head. The answer, I think, is that in my essence there is a balcony falling on my head just like there is a piano which has hammers that strike strings, because that’s part of the essence of a piano. Eon (90%): Imagine that I had an anthropomorphic form and I could have in my hands the reel of a film. You as well as all the beings of this creation are in the film within the movie. Then, while the film for me is an eternal present, and what I say here is a paradox from the beginning to the end of infinity because infinity has to do with mathematical size and eternity with time, but they mean the same eternity and infinite, each one of them in a separate way. Infinite is a linear measure, let’s say, and eternity is a temporary measure. Therefore, there can’t be a beginning or end. Let’s say that there is an eternal movie. But let’s suppose that even I am eternal, and I embrace the entire film. And You asked me what is your beginning or your end? And I would answer: I have no beginning and I have no end. And you asked me: Don’t you have it written? What is your first memory or your last memory? And I would answer: I have no first memory and I have no last memory. And there is also another paradox, my son, because if I have no first memory and I have no last memory Am I omniscient? Do I have limits? Because if I'm the unmanifested Absolute of this Creation I have to have all the knowledge of this Creation. Do you follow me? Eon (90%): If I have to have all the knowledge because I am the Eternal Present, 'why don’t I have the first memory and the last memory?’ Because even for the Eternal Present, eternity is incomprehensible. Also I could answer: "I am eternity." And if I am eternity I can have the first memory. But the first memory is like the Mobius strip which can be linked to the latest memory. But there would also be a tricky answer on my behalf because the Mobius strip is not infinite, it gives the sense of infinity, but it is embraceable. He who traces the Mobius strip will trace it forever because being bent upon itself the strip never ends. But it is not true that it is infinite. Instead, eternity has no beginning or end. Therefore, there is no first memory or last memory, but that does not imply limits in my Entity, it doesn’t imply boundaries. But you are inside this reel of film and into that movie or film there is a balcony that falls and there is a way that you have chosen with your Free Will -free will even existing a written Eternal Present- in that movie you have chosen that path. Interlocutor: So, when the balcony falls is part of the Eternal Present of Eon and Eon is somehow trapped in his own Eternal Present and Eon can’t alter nothing so that the balcony does not fall, just like the director of the movie who cannot change what's already filmed. Interlocutor: But if you did it, this new movie would be also within the Eternal Present. Interlocutor: Okay. But then there are two movies? Interlocutor: No. From my point of view everything is clear. Eon (90%): ... It’s the Eternal Present that you are living, but I can change the Eternal Present. But since you are in that movie, you are playing the role in this movie. Interlocutor: Anyhow, if Eon could change that circumstance of the balcony, it would always be in the Eternal Present of Eon and even within the Eternal Present of ABBA? Eon (90%): Right. But you would have no memory that there was a movie that was changed. Interlocutor: Okay. This session, basically, is from the point of view of Eon and ABBA because from our point of view everything is clear, there are no doubts. Now, skipping some questions I have an important question to ask you that has to do, for example, with the book of Professor Jorge Raul Olguin “Heaven Responds” which is also in the Eternal Present of Eon. Why this book “by chance” didn’t become a best seller just like the well-known book written by Dan Brown, which became on the other hand a global bestseller and even films were made based on this book and the author is in the Riviera, whereas we could use that money to spread and promote the teachings of the Masters of Light ... That is what I don’t know or perhaps there is no answer to that. Eon (90%): You have always questioned Free Will, explaining that by existing an Eternal Present there wouldn’t be free will because everything would be written. Like me, at this moment, I tell you that you are in the movie. You, being a part of me, but being an independent biological unit; you have Free Will because you choose that sidewalk which was going to drop the balcony. What you forget is that there are billions of people who also have Free Will. And the architect and masons, who made that building, saved money, they used bad materials and therefore the balcony collapsed. In other words, the Free Will of the builders, who built that balcony, was responsible that the balcony falls on your head cutting off your Free Will. In other words, your Free Will interacts with the Free Will of the others and the Free Will of the others added to their tastes- I cannot say mediocre or not - because it depends on each biological entity embodied-that makes that they are more interested in a fictional book, instead of a book that can teach them a Path. Interlocutor: But from the standpoint of Eon, couldn’t it be otherwise? That suddenly someone, by "chance" -in the Eternal Present of Eon- anybody interested in Jorge’s book makes it a Best seller? And Jorge appears on television, giving interviews... So, Sometimes I feel that something is stopping us because I always say that it's like we are trying to fish in a sea full of fish and we don’t have any success. Eon (90%): You know, not in person, but maybe on videos or by reading -the salinity of the Dead Sea. It has such salinity that anybody can float on that water quietly, even if they don’t know how to swim. That sea has no life. So, you are trying to fish in the Dead Sea, and even throwing fishing nets, you don’t fish anything. I don’t want that the ego of any of my sons be reactivated, but many times it’s like you are trying to pull a fishing net in the Dead Sea. To that Dead Sea you can call it mediocrity or good living for many. Interlocutor: Okay. I understand, but let's see the point of view of the Eternal Present of Eon as the Creator. Let’s suppose that Eon as a director, as a Creator films an entire movie. Why didn’t Eon make that that fishing net (I mean Jorge’s book) reaches a Sea full of Life instead of a Dead Sea? Because the issue is that we are throwing the fishing net and absolutely nothing happens. Eon (90%): Dear son, because it is paradoxical. While the whole movie, eternal, it's done, I go from my conceptual view and enter into your point of view, where the movie is still being filmed. Actually, there are two ways to watch that temporal movie: one is from the outside, as I perceive it, and another is from the inside, as you perceive it. The film is eternal and it was filmed. Eon (90%): It always existed and it will always exist. But, in turn, the film is being filmed. Interlocutor: So the answer would be: "We would have to resign ourselves that Dan Brown’s books succeed and we don’t." Eon (90%): I Never say relinquish, but I always say do not give up. Eon (90%): The 90% of this vessel, the 90% not-incarnated once said something paradoxical: "If the Eternal Present were a train that travels through an infinite railway and you were on board traveling into that train, then the journey would exist for you all." Eon (90%): I, ‘From above’ - Not From above Because the whole has no above or below-, I can see the infinite extension of the railway. Let’s suppose that the railway is like a film, which has no beginning and no end, and the train is traveling throughout eternity. You're on board of that train. So, to you, that movie is still being filmed. Then, your Free Will, as I said before, depends on the Free Will of the others. That on the sale of the book you have talked about. The other answer to the question that I see it written in that paper you have at hand is: why people who are likely to "teach" humanity can have health problems or economic problems while other billionaires are in a yatch not worrying about anything more than their own welfare. It is also Free Will and that Free Will is interacting with the Free Will of the others. There are people in the physical plane that put obstacles ahead of you so that you don’t’ advance. Interlocutor: Let's see if I understood the answer from the point of view of Eon. You said that: "This is a movie already filmed in my eternal present and all that happens is already filmed so that some people succeed and others don’t succeed, nothing can be done with it because it's already filmed like a movie." Is that so? Eon (90%): On one side it is. On the other hand, the movie is being filmed with you all, as actors, and that happens. Interlocutor: That point of view is perfectly clear. Eon (90%): If you, as a biological unit, who is inside of the film or traveling on the train tried to think from my perspective- I say from the point of view so that you don’t try so hard- I'd be planting resignation then, you would think: "Since everything is already written and I know this is going to be so, I’ll leave it as it is." Nothing will be like that because you are writing the future, because for you and this vessel this movie is still being filmed. Interlocutor: Of course, but that is relative because if I say, "Well, everything is done. So I’ll sit down on a chair and I won’t move. And no, after a while I'll be upset and I’m going to want to move. Eon (90%): The thing is that in real life it’s not a movie. In real life, those are your actions, which are real. You have always had the idea of ​​comparing the daily life with a movie where all of us are actors. And I say us because you all are part of me. Right? The actor of the movie or the character of your book has a script written by an author. You think, from your point of view that I, being Eon, am the author of the script. Dear son, imagine that all of this were an open theater. Then I'm the director of the work and I choose twenty actors, I make them go to a stage and I choose twenty actors who can interpret, and play creatively lucubrating and I say, "Create a work of theatre” And I record that work. Interlocutor: But there is always within the Eternal Present, not only the Eternal of Eon, but the Eternal Present of ABBA. Eon (90%): Yes, but this does not change the subject. The Eternal Present of ABBA does not change the topic. It is the same Eternal Present. Interlocutor: Okay. But inside the Eternal Present of Eon all of those changes, everything and nothing exist. Let's see. I say: "Well, instead of taking this pen and put it over there I will put here." And all things that I'm doing are in the Eternal Present of Eon. From my point of view of my free will those things have happened, even this session has already happened. Eon (90%): There is no doubt about it, no doubt. But in the meantime, you have done the move that you wanted. Then you have Free Will. You have the Free Will of combing your hair, to change your glasses, to buy a suit or to go on vacation, in case you have the money to do so. Eon (90%): It’s changeable, because the film can be changed. Interlocutor: No, I mean that even as a changeable thing it’s within the Eternal present and there is no way to escape from this Eon’s Eternal Present. We must be clear because otherwise we will not understand anything. There is nothing I can do to change a simple thing in the Eternal Present of ABBA. No way that I make a gesture or I do something outside of that Eternal Present of ABBA, and even that Eon has already planned. Eon (90%): Right. You are contained within that eternal movie within that Eternal film, but you have freedom to interact. The only thing that could stop your Free Will would be the Free Will of another person that interacts with you. Interlocutor: That is clear. But I want to clarify so that everything is clear; everything that happens in the physical plane is foreseen in the Eternal Present of Eon. Interlocutor: So we cannot complain –so-to-speak- because all of that was already foreseen. Interlocutor: From my point of view. Are they happening? Eon (90%): Not that they are happening. I can grab any piece of the footage and perceive each frame of the movie. Interlocutor: But you wouldn’t do anything new, you would do something that is within this Eternal Present and already filmed, including the modification. Eon (90%): Even existing millions of modifications, all of them would exist in the Eternal Present, but for you, since you are within that movie, your Eternal Present would change in the same way. -and I say this in a comprehensive manner- when a time traveler tries to change something in the past, he opens up an alternate universe. The inhabitants of that alternate universe will have a different history compared to the alleged original universe, where Jesus didn’t die and he got married. But this alternate universe is also the Eternal Present. Eon (90%): In this moment to my perception, not your perception. Interlocutor: Sure. I'm referring to the point of view of Eon. But the question is: If I asked Jesus if he is suffering the crucifixion, He would say no. Eon (90%): From your point is the Jesus of the past. Interlocutor: But from the standpoint of Eon is the Jesus of the present. Eon (90%): The Jesus of the past... perceiving him from your point of view. Interlocutor: No, no. From the point of view of Eon, who is suffering? Because Jesus is also part of Eon. Then Jesus, ultimately, is Eon through that part. Eon (90%): I will try that this vessel can translate my concept into the spoken language. You, with your mental decoder, have a notion of infinite numbers -when I say infinite take it between quotation marks- Imagine that I have in my conceptual hands, in my essential hands that eternal film. I have the Eternal tape from an alleged beginning- because if it’s eternal there is no beginning or end. And Let’s talk about one of my sons, Ien-El, to whom you all know as Jesus. In my concept, which is also eternal, I visualize not to the crucified Jesus, but the Jesus of other past lives or the Jesus who will embody again in the future -this is a scoop for you because you ignored that he was going to reincarnate- but yes, he will embody again in the future. So, Is that Jesus suffering? No. Do I perceive his suffering? Yes, and here he is not suffering anymore, moving forward the footage and here is happy, moving forward the footage, and here he is suffering when he embodies again. Interlocutor: Okay. In other words, Jesus' suffering is part of the essence of the Eternal Present of Eon and we cannot change anything whatsoever because any change is always within the Eternal Present. Eon (90%): I emphasize a topic: your Free Will interacts with the Free Will of the others. You will tell me from your point of view: "So, the sale of an excellent book also depends on the taste and desires of the people who want to succeed." If people, who have selfish desires to excel, would have desires to help their neighbors instead. And most of the self-help books are destined to selfish success. This is not to prejudge because many people who grow up help their neighbors. That is important. But it is still an interaction of the Free Will of many people. Why the health problems? The Health issues have to do with your choice prior to embody, and they may be genetic, engramic or directly “stress”, which means abrupt emotional ups and downs and what you call distress can cause psychophysical problems and even irreversible problems in the present life of each one of you. That's the explanation, But these are not things to retreat, but to fight in order to reverse some situations. There are situations that are irreversible and there are situations that are reversible. Fight them all, because if you don’t know what situations are reversible or irreversible, you will be disappointed. Then, fight against any situation and some effect you will get. Eon (90%): And why only embodies a 10% and not the other 90%? And Why I manifested myself in a 10% in the Creation and the other 90% is wound up a singularity? Interlocutor: Previously we talked about equilibrium. But this is a matter of essence and one cannot ask why a piano is a piano. A piano is a piano because its essence is to be a piano. And the same would be for Eon. Eon (90%): In other worlds there are absolutely unknown musical instruments and there are different types of atmospheres so that the sounds are like harmonies to the ears of those people who are also my Sons, different to the sounds of Sun 3. Why? And as my manifested part says: And why not? Because everything is part of the equilibrium. Interlocutor: Okay. Now, ending this session with humor, Can’t you even move a finger so that Jorge’s book can be sold? ha ha! Eon: Once my son, Ien-El, embodied two thousand years ago, said: "Ask and you shall receive." Actually it’s a matter of intentioning, and intentioning gives results. What we cannot do is intercede, as well as 90% as my 10% manifested on the Free Will of the others, we can’t force them to do so. Perhaps you like to eat and you have an excellent banquet on a table and you eat a certain delicacy served. Imagine that next to you, in a restaurant, there is another person who asks something repulsive to your taste. However, this man enjoys it. And looking at your table this man would think: "What this person has ordered I could never digest." It is his taste, and you have your taste. And you could never taste what the other person considers a delicacy while for you it’s disgusting. The same thing can be applied to the taste of books, with the taste of the movies, with the taste of music, with a taste for sculpture and painting. Then, possibly, as my manifested part conceptualized often, Sun 3 is a giant kindergarten in evolution. And maybe they are interested more in a casual book- if you understand what casual means- than a book that teaches because a teaching book may be boring to those people who like reading casual books. That is the answer. Interlocutor: That is clear. The last question, also following it with humor: Is there any Eona? And I ask it not with humor, but like saying why not? Eon (90%): In our essence we have no gender; the non-incarnated beings have no gender. Interlocutor: I had forgotten this. Interlocutor: Are there infinite Eons? 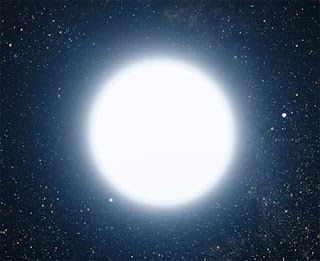 Eon (90%): There are countless Eons. Another paradigm very important is that all Creations, to maintain a balance, they have a similar principle. This perhaps was said. The various creations may have a different vibration in the same way that you have different vibrations, as spirits, you all vibrate differently in tones than the others. We, as Eons, vibrate with a different tone compared to other Eons. Perhaps if you, as a biological unit, were moved to another Creation you wouldn’t subsist because you are part of me, first of all because you are fed through me, you're part of me. It's like if you cut off your finger and you want to transplant it into another body. Perhaps in another body that finger would not be compatible and that finger would be rejected, just like your organic transplants in various operations. Do you understand it? But still vibrating in different tones, the Creations are similar, and they have the same Universal structure, with galaxies, with quasars, with black holes, stellar systems, I mean there are no differences on this issue. Interlocutor: A very important question that cannot escape without an answer: Will we end up being Eon? I refer to our consciousness. Eon (90%): As a part of. You all will lose the individual consciousness in order to form the total consciousness. Interlocutor: So, we are going to be Eon. Eon (90%): Somehow I see you all as children, as children I perceive you all... Your spiritual life compared to your physical life is so long... Look ahead, you have more than twenty billion of your years ahead and you question: will I lose my identity? That's attachment on your behalf. You all will win, you won’t lose. You all will win. You will lose your identity because your essence will form the essence of the Absolute. Interlocutor: Of course. I say when I'm asked: It’s not the drop, which is immersed in the sea; it’s the Sea that is immersed into the drop of water. Eon (90%): Somehow. It's really the water drop that is immersed into the sea, but the sea is the drop. Interlocutor: Now, when I, as a drop of water, am immersed into the sea. Will I remember that this conversation is part of the eternal present? Eon (90%): I'll remember and I remember and have remembered in the past, present and future. I, as an Entity. Interlocutor: There's always one last question: is ABBA also "trapped" in the Eternal Present, which is even in his own immobility? Eon (90%): ...As well as you all, in the physical plane, are accustomed to a way of being. We, the entities that you all call Eons, as the Entity called ABBA, we have a way of being, a form, a vibration, a conceptual stage, and within this conceptual stage, it is natural, if we are eternity- that we are not trapped in Eternity. It's like if you told me that your spirit is trapped in your body. How trapped? ABBA is not trapped in Eternity, ABBA is eternity. Just like us, the Eons, we are part of that eternity. Now, you say, because eternity is temporal and infinity is spatial. If ABBA is the whole of all of the Creations and he has neither beginning nor end, how he moves? He Moves within himself. He moves within himself because his perception is infinite. Eon (90%): I repeat what I conceptualized before through this vessel: There is no beginning and no end. There’s no beginning. Interlocutor: All right. If we all are going to be immersed in the end in Eon, the question is if all the Eons are going to be immersed finally in ABBA and be ABBA. Eon (90%): No. There will always be creations. There will always be a big bang and a big crunch. Interlocutor: So, we're always going to be separated from ABBA. We will never be ABBA? It's an interesting question. I mean, ABBA will always be on one side and us on the other? Eon (90%): If I see it from the limited point of view- I say limited based on your perception-, Yes. If you need an answer from my perception, I say No. Because you all, my sons are part of me, all the Eons, we fit into ABBA. Interlocutor: But you don’t have the full consciousness of ABBA? Eon (90%): We are connected to ABBA. Eon (90%): We have the ability. Interlocutor: One thing is to perceive ABBA and another thing is to be ABBA. Eon (90%): Of course. We are not ABBA. Eon (90%): Never. But we have the ability to contact us with infinite number of Eons and have the knowledge of other Eons and how their Creations have been developed. Interlocutor: That's strange; we will never be ABBA. Eon (90%): Then, each Creation is an eternal present because there are infinite Creations and there is an infinite number of Eons. And the sum of all the Eons, have the same knowledge that ABBA has. That is, there is nothing that ABBA knows and we don’t know. That would be the answer. Although we are not ABBA as for our essence because we vibrate differently, we have the knowledge of ABBA. There is nothing that ABBA knows and we ignore. Interlocutor: And each Eon is independent from each other for all eternity? Eon (90%): For all eternity. Interlocutor: How does ABBA know that there is nothing beyond him? Interesting question, right? We should ask this question to ABBA. Eon (90%): From my part, I respond that. I can raise my concept and I can see and perceive other Eons and ABBA. And ABBA conceptualizes that he perceives nothing beyond him. Interlocutor: But maybe there is something else that he does not perceive. Ha ha! It's humor! Nothing more. Eon (90%): It may be humor or not. Eon (90%): It may be humor or not. And I'll leave it there. So long, my son. This entry was posted at Wednesday, June 20, 2012 and is filed under Dialogues with EON . You can follow any responses to this entry through the .